Gain a financial return whilst enjoying you own holiday home. What?, I hear you say, its true, you have an opportunity to holiday on the banks of loch Tay, whilst getting your money to work for you. Our fully managed rental service is a hassle free way to make you investment work for you. Nestled on the shores of Loch Tay, the exclusive and award winning resort of Taymouth Marina offers magnificent estate homes, representing the peak of luxury living and in one of Scotland’s most desirable locations. 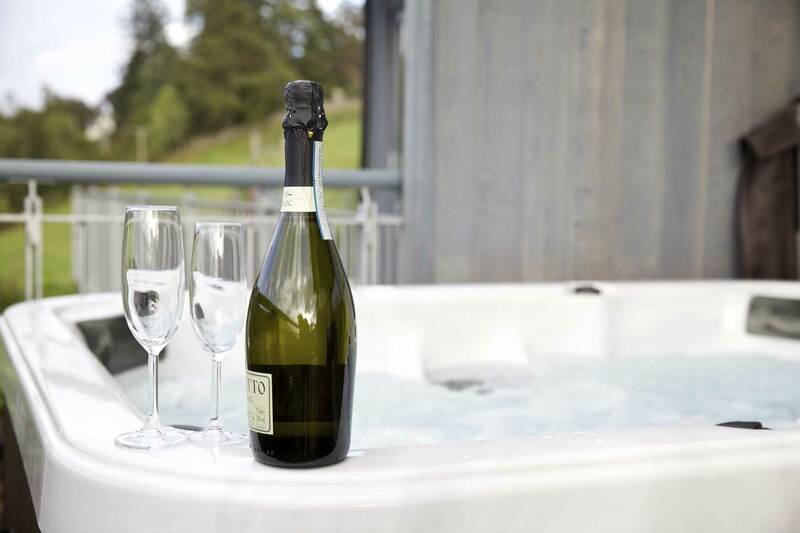 This majestic hideaway provides you with your very own Highland Perthshire retreat, complete with glorious vistas of the mountains and views of Loch Tay for as far as the eye can see. Award winning architects, McKenzie Strickland Associates, have carefully considered every element of the Taymouth Marina location with meticulous attention to detail. The new homes have been designed and planned to make the most of the breathtaking loch views and surrounding scenery. Complete with open plan living areas, bespoke kitchens, private terraces and ensuite bedrooms, Taymouth Marina properties have got innovation at the forefront of property development. Picture yourself enjoying breakfast al-fresco on your own balcony whilst you admire the stunning landscape; soak in the hot tub from the comfort and privacy of your own garden; and step outside your door to find yourself, within minutes, exploring the woodlands or sailing on the waters surrounding you. Become one of the few to say, “I have a holiday home in the beautiful Scottish Highlands and by the shores of Loch Tay”. Furthermore, your investment extends to more than just yourself; your investment is one for future generations of your family. Envision your children’s children enjoying the same benefits and experience of your sanctuary as you will. And don’t forget, as a holiday home owner, you have the use of onsite facilities. Take advantage of our Watersports centre from May to October each year and after a day on the Loch, treat yourself to a meal at Taymouth Marina Restaurant or catch up with friends at the bar, as you gaze out at the beauty that is Highland Perthshire. Additionally, having a friendly and successful on site holiday letting team at Taymouth Marina, means we can provide you with the best of both worlds – a second home in a beautiful area of Scotland as well as hassle free income, generated from your property when you are not using it. The combination of award winning designs, the best of waterfront locations and an onsite letting facility, makes an investment in a Taymouth Marina home one that stands out from the rest. Nowhere else in the area can compete with what Taymouth Marina can offer. This is a place where you can create lasting memories, year after year. Let Taymouth Marina be your ‘home from home’; a world apart but within driving distance. Due to such great interest we are now selling our next phase of development of plan, the terrace of 3 currently in final planning stages will be completed late 2019, for just £5000 you can reserve your new home from home today. McKenzie Strickland Associates were the creators, designers and visionaries behind Taymouth Marina. McKenzie Strickland Associates are an architectural team based in Aberfeldy, Crieff and Perth. Enjoying the lifestyle in a rural setting they succeed in maintaining a global influence by thinking globally and act locally’.